Most of modern active sporty people use at least some of many available sport tracking devices or services. Being that dedicated devices like Garmin, Suunto or Polar or their software equivalents Runkeeper, Endomondo, Strava or Velo Hero. All these gadgets and apps provide track recording including processing data from various external sensors, calculating statistics, data export to various formats or web services. 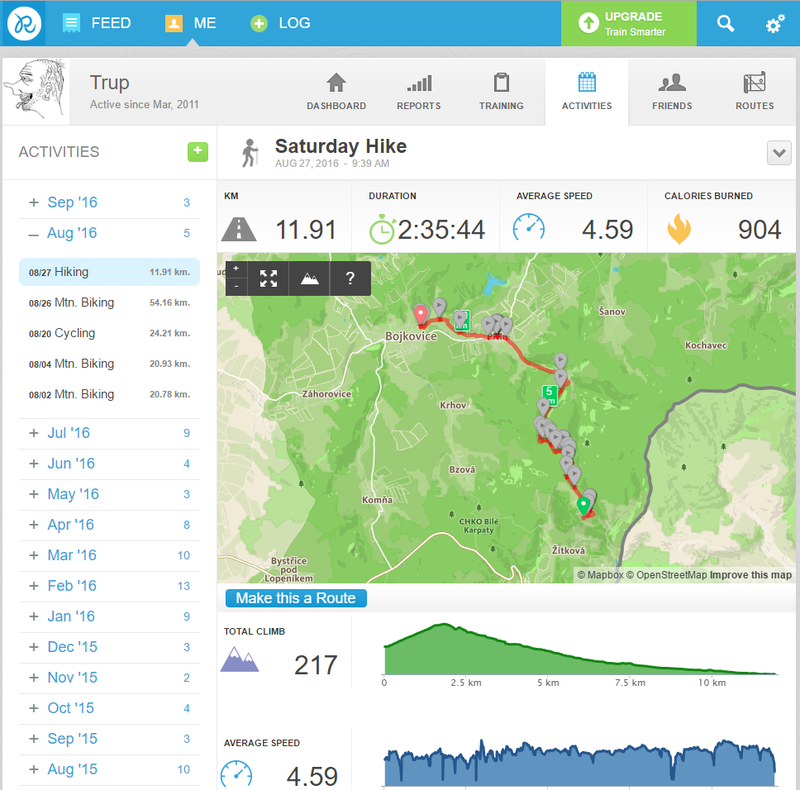 As you surely know, Locus Map, besides its robust map and navigation capabilities, offers many of above mentioned sports tracking features too – it records tracks and data from external sensors of heart rate, speed or pedaling cadence, it offers detailed statistics, it can also audio-coach your training. One thing that is so far missing is its own web interface where it is possible to store, present and share your sports activities with your friends. 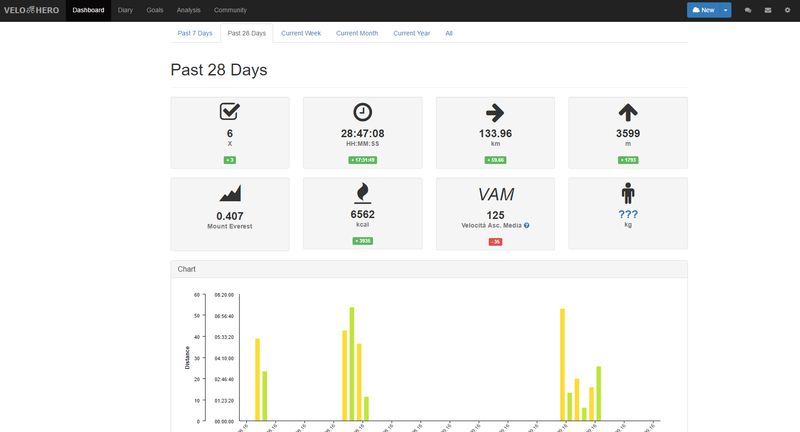 We don’t deny we would like to have such an interface and that we’ll once build it but before it happens we offer connection with already working and well established projects – your sports activities recorded in Locus can be quickly and comfortably exported to world wide servers Strava, Runkeeper, Velo Hero, Ride With GPS and others. 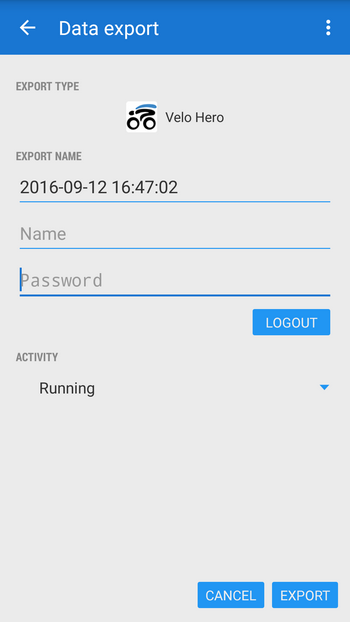 Runkeeper evokes an idea that it can be used just for monitoring your running workouts but as well as other services it enables you to share all of your sports activities. 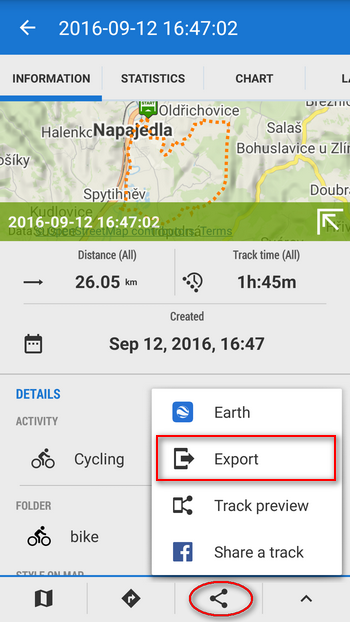 If you track was somehow recorded with mistakes you can easily edit it in Runkeeper. How to export from Locus? Each of above mentioned services can be found in the selection of the track export format. each service requires its own login – it’s necessary to sign up before this on their websites. 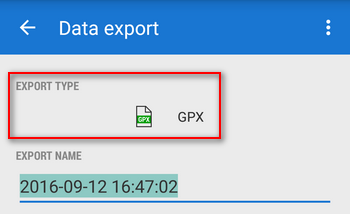 Parameters of the export may also vary. 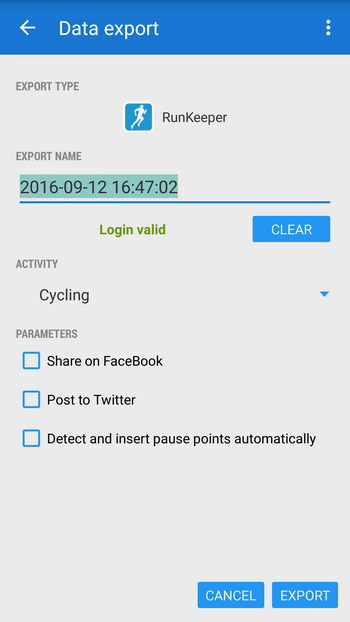 For example Runkeeper enables to detect pauses in the activity, Strava differentiates between private and public activities etc. What to do if I use service that is not supported by Locus? 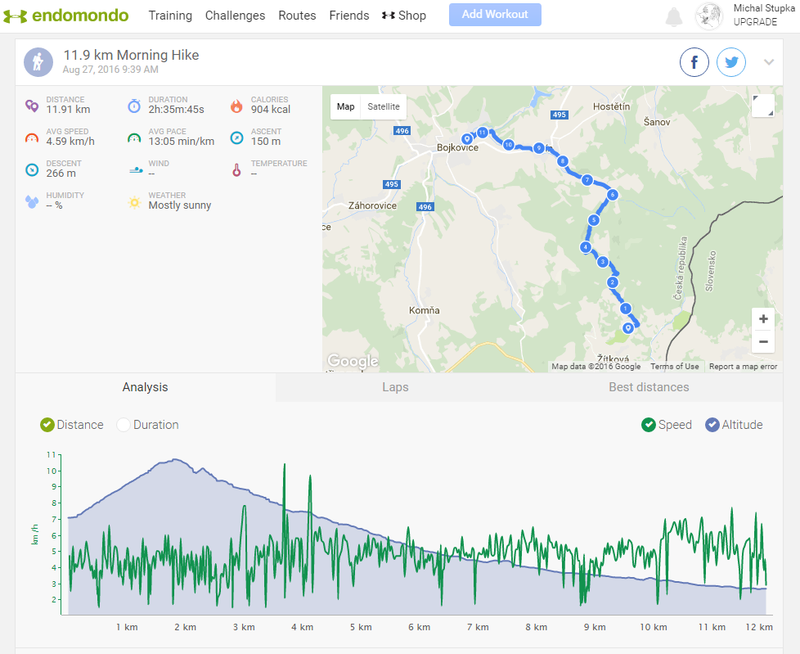 A typical case is Endomondo. This widespread service, unfortunately, doesn’t provide API, i.e. it’s not possible to connect it to a third party app – Locus. Endomondo is a featured sports server but it doesn’t provide connection to other applications. That’s why it’s necessary to use services of Tapiriik.com – the website was created upon demand of many active people who have their friends scattered among many various sport-community servers and who don’t want to bother themselves by laborious exporting their activities manually on several sites individually. 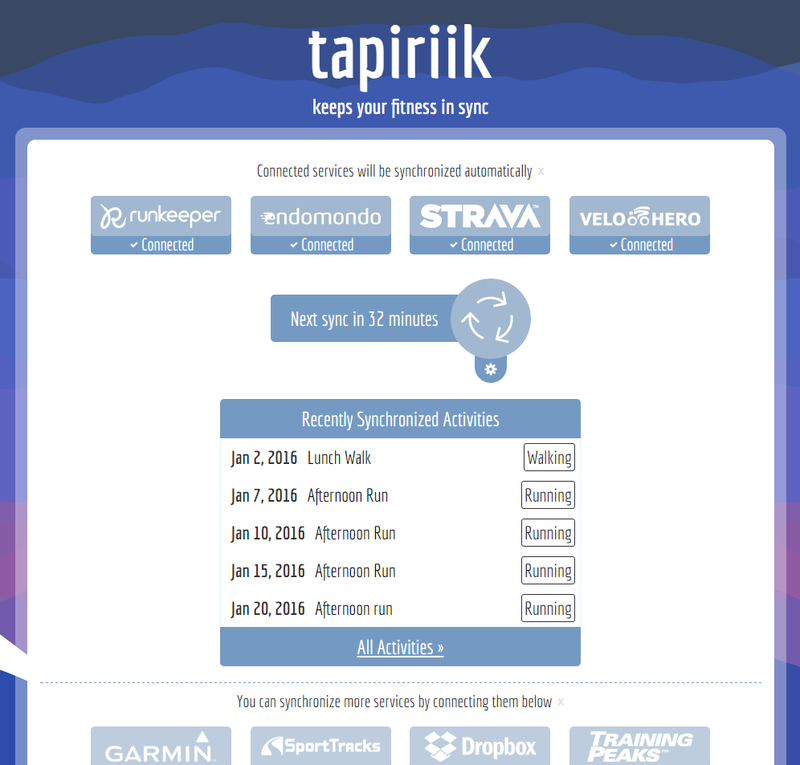 Just register, select your websites to connect and Tapiriik synchronizes all your activities among them. 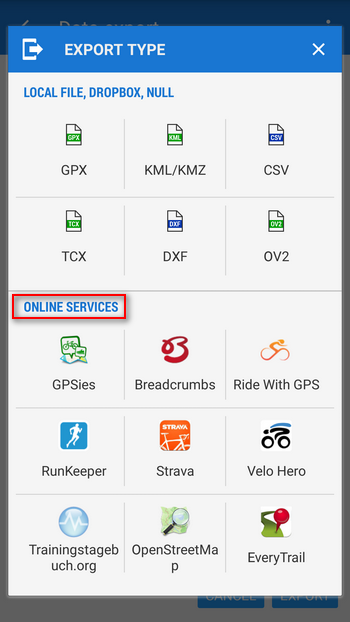 If you want to use quality maps, reliable navigation and sports activity recorder with the option of presenting them online, it’s not necessary to stuff your phone memory with dozen apps. You’ll get by with Locus Map.